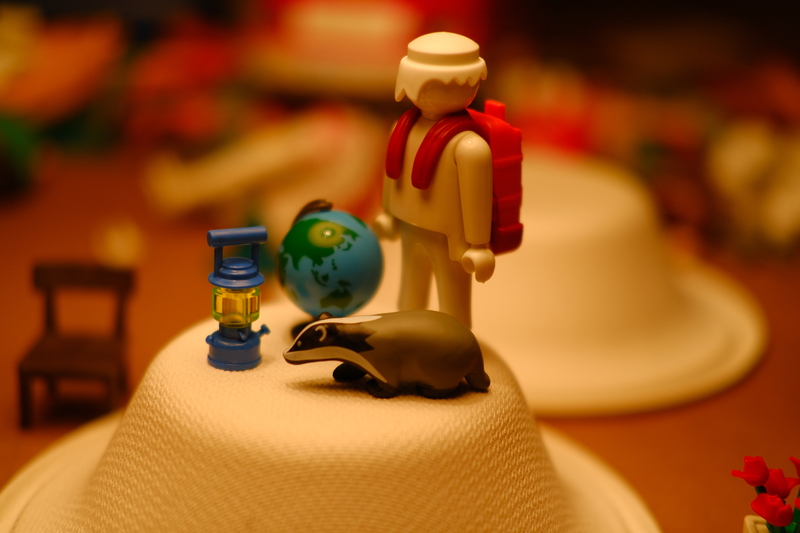 We were lucky to receive one of the first PlaymobilPro workshop kits. Here are a few notes on how we used it, and what worked well. 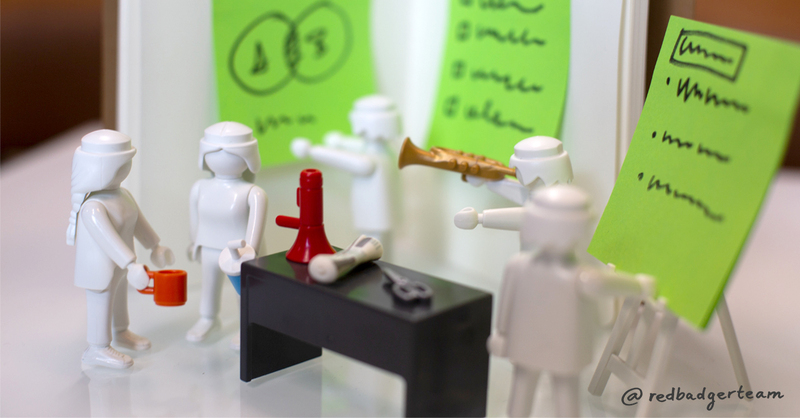 It's one of the classic Service Design methods, where designers facilitate Desktop Walkthrough with toy figurines on a miniature stage. The purpose of this playful method is to create a shared understanding of a service sequence, how it unfolds step-by-step, and to get an idea of which actors are involved. We like it as one of the fastest ways to understand, build, and test a service flow with a team. It also inspires the workshop participants to develop empathy. ...and we put it straight to work in our Leadership & Skills Award session on ‘Creative Problem Solving’ at Kings College London, and two other occasions over the weekend. Here are a few notes on how we used it, and what worked well. We liked the size of the Playmobil figurines. Defining the characters and ‘play’ through the service sequence felt easy in a group of 4-6 people. PlaymobilPro felt simple, with fewer abstract parts than other workshop kits we have used in the past. Participants took less time to orient themselves before starting. The hats which describe jobs/roles were the most used props. The magician's hat was particularly popular for showing the super employee or service representative, who enables the future/desired journey. Props for antagonists or ‘baddies’ were popular too. Loads of fun with dynamite & fire, used with a long red thread to show destructive behaviour. The labelling of the trays in ‘characters’, ‘costumes’, ‘props’, etc., works well and feels easy, like digging into a costume box. Which elements were less useful? The little suction pods under the flags did not stick on most paper surfaces, perhaps try a weight in the next iteration? People used a paper banquet table cloth to draw notes, rooms, comments, arrows for movements, this was super simple and fast to use. 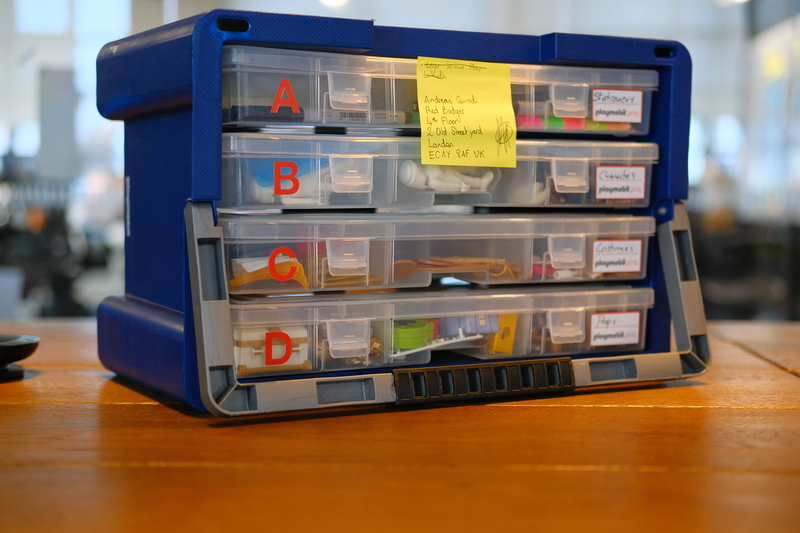 The specificity of props makes starting easier for participants, and can equally guide them in some ways. Whenever participants struggled to find matching props, we encouraged to move faster by more free ‘pretend’ games. Generic props like the legendary ‘rubber chicken’ can represent anything in workshops. Desktop walkthrough is a great way to warm people up for more theatre-based activities such as Investigative Rehearsal. 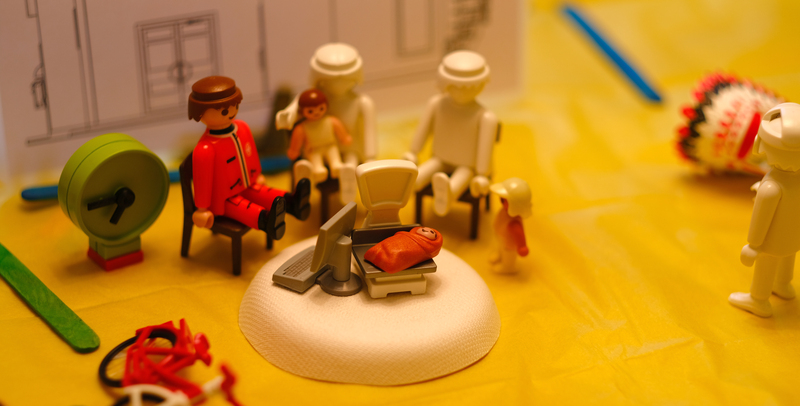 By introducing role-play on the miniature stage, people felt more at ease in the actual roleplay later on. I could see the set working for different purposes, such as conflict resolution. It could be used in the context of therapy, in schools, or in team environments, therapy, team coaching, or school training on behaviours such as conflict resolution. We would like to thank Victoria and Frank from the Playmobil team again, for sending us one of their first workshop kits. We are already looking for the next opportunity to use it with our clients!